Can rats see in the dark or do they keep bumping from one thing to another until they have reached their destination? Fortunately for rats, unfortunately for us, bumping into things is more of a human thing. Although, when encountered with dark surroundings, we extend our arms in order to perceive the things around us. On the other hand, these tiny super intelligent creatures use their whiskers to get a grip of the surroundings. 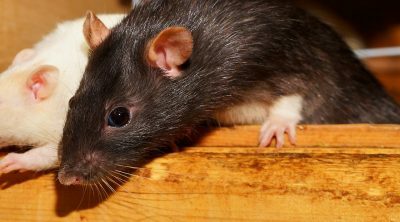 This means rats can easily avoid collision or hurting themselves. But Can Rats See In The Dark Using Their Eyes? 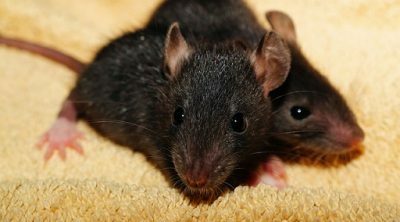 Unfortunately, rats can’t see in the dark solely using their eyes. They are not biologically structured to have a night vision. As previously mentioned, their whiskers help them guide through the dark. 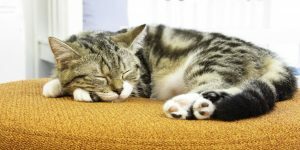 Studies have been conducted on these animals and it has been proven that they adapt pretty easy to unclear and new surroundings. 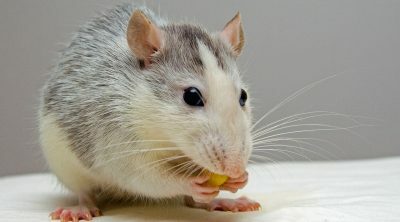 Researchers at the University of Sheffield said that rats use their whiskers as we use our hands when we are in the dark. When they can’t see, rats move their whiskers back and forth to determine which path they should follow. The process is known under the name of whisking. The whiskers are placed where the rat can collect most of the information from, just as we put our hands on different objects to determine their posture and size. Although, it has been known for a while that rats and other animals use their whiskers to make sense of the surroundings, they did not know to what extent the whiskers can help them. The patterns of the whiskers differ from day to night. Researchers have found that using only their whiskers, rats were able to explore an unfamiliar place in the dark without hitting any objects while reaching their final destination. 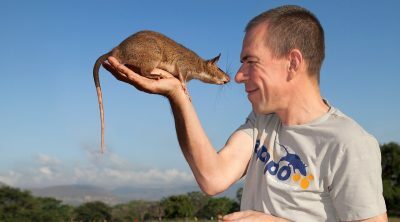 So, in places with many obstacles, rats move more slowly, but they extend their whiskers even more. How Do Rats See During Daytime? Other studies conducted on rats have proven that these tiny creatures actually see the world as a person with red-green colorblindness. Their color saturation might be a bit poor and they are more affected by brightness than the color itself. They also might have a hard time distinguishing the actual form and size of the objects surrounding them, having a rather blurry vision. There are also some rats, identified as albino rats, which are visually impaired. 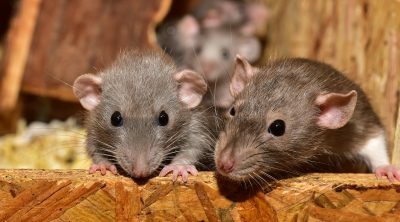 Up until recently, scientists thought that rats are completely color blinded and that they see the world in black and white tones. Recent studies have proven that rats can see colors. 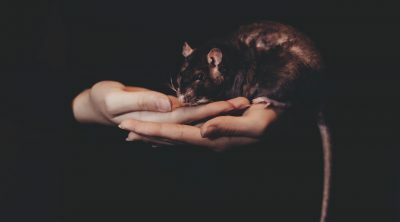 Rats do not identify colors as well as humans do, but they do manage to get a good grip of the things around them. At the same time, just as humans, over time, rats can lose their ability to see things. These animals are able to detect colors thanks to the 2 types of color cones found in the retina. One is able to detect different shades of green, while the other one is used for blue ultraviolet light. Due to this fact, they perceive red in a general dark shade. Humans do not have the cone that identifies the blue ultraviolet color while rats do. This means they can see the urine of another rat, but can also see things better during twilight time. Being a night creature, this cone is very important for rats. Having the eyes placed on the side of their head, rats enjoy a rather large field of vision. They can see and identify most of the things surrounding them. Still, rats have poor depth perception. Despite this fact, they use a technique called motion parallax. This implies head movements up and down to get a better look at the surroundings. Then, they take mental pictures and the brain is able to approximate the depth. Just as humans, rats have a blind spot in the middle of their field of vision. They compensate by adding up the things they see with each eye just as we do. One very interesting fact about these tiny animals is that they can move their eyes in independent directions. This means that they can look both up and down at the same time. This way, they can keep an eye on the sky to run in case of any danger while checking out the surroundings. This ability is not possessed by humans, turning rats into very vigilante creatures as they have to keep their guard up most of the times. 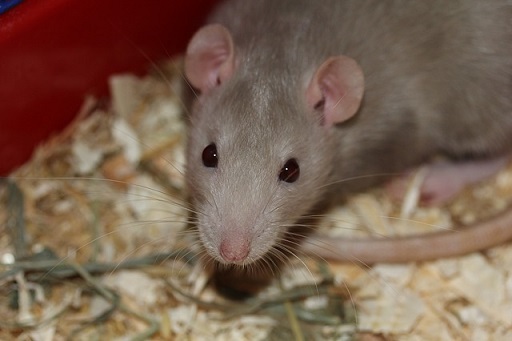 To ensure your rat’s good vision, keep it on a healthy diet and make sure it’s physically active throughout its life. Also, keep it out of danger, whether we’re talking about food or animals that eat rats.